In 1956, Jess created a remarkable series of bright, colorful tableaux for the interior of Pauline Kael’s home in Berkeley, California, a mile south of the UC campus. 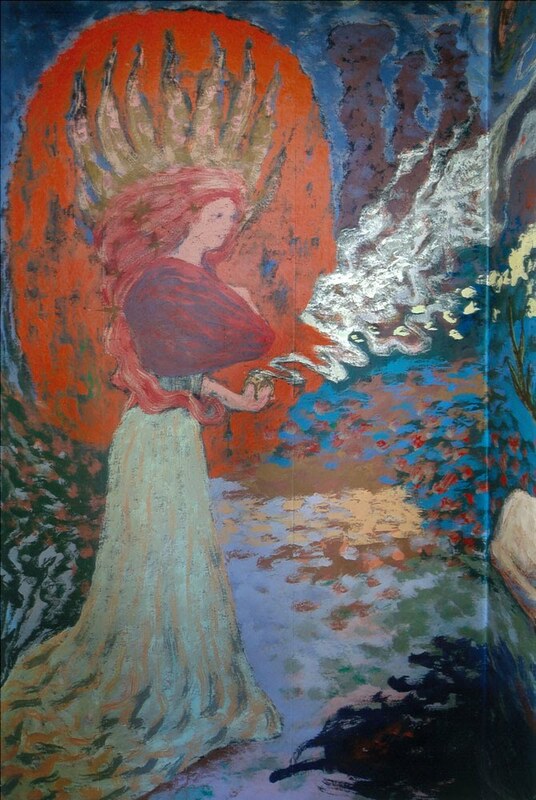 The murals–which are in the styles of Bonnard, Braque, Klee and others—fill the upstairs hallway, the back porch, part of the living room and one of the bedrooms. Significantly, these jewel-like paintings are the only surviving murals by Jess, the other five he did in the 1950s having been abandoned or painted over by their owners. The house also includes a mural and a kitchen floor designed by the painter Harry Jacobus. A committee was formed in 2014 to work to preserve this unique home with its rare artworks. To learn more, please visit JessMurals.org.